The Best Day Ever in Philly sports history? 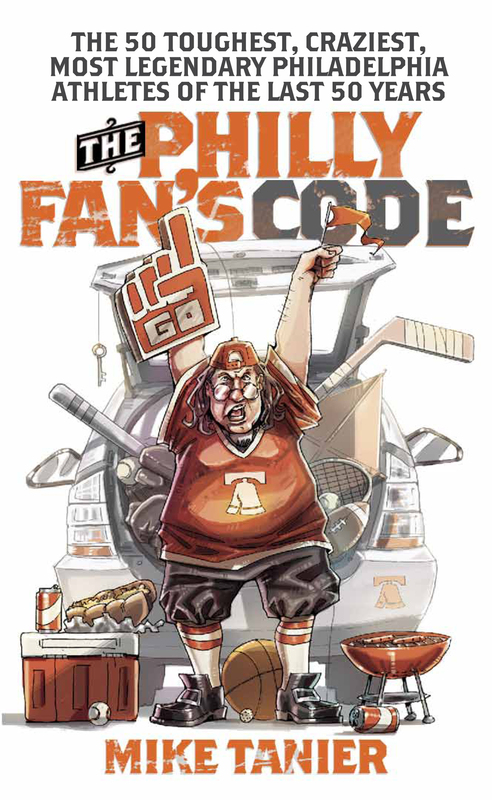 In this blog entry, Mike Tanier, author of The Philly Fan’s Code explains why our local teams–who often give us plenty of grief–also provide us with days (if not reasons) to celebrate. These are great days to be a Philly sports fan. Take Monday, August 29th. The Phillies were in first place by six games. Cole Hamels came back from disabled list and pitching well. The Eagles, having just signed half of the free agents in the NFL, gave Michael Vick a $100 million contract extension. The Flyers are coming off a solid season and have a radically revamped roster that has fans buzzing. The Sixers … well, the Phillies are in first place, and Cole Hamels is back and pitching well. So these are pretty great days, but they are not the best days. I started to wonder … what was the Best Day Ever in Philly sports history? October 31st, 2008 was certainly great: it was the day of the Phillies World Series parade, it was Halloween, the weather was gorgeous, and it happened recently enough that our memories of it do not include Dukes of Hazard lunchboxes or calling our friends on rotary phones. The other Philly teams weren’t offering much cause for celebration on that date, however. The Flyers were in a four-game winning streak, but it came at after a season-opening six game losing streak. The Eagles, though 4-3, were in the late-Donovan McNabb-era malaise, and the dreaded Bengals tie (a 13-13 game in which McNabb admitted that he didn’t understand the overtime rules) was just days away. A very unpromising Sixers season just started. Still, Phillies + World Series = perhaps the second-best day in Philadelphia sports history. The Sixers finished their sweep of the Lakers to win the NBA championship on May 31, 1983, but that win came a month after the Flyers were swept easily in the first round of the NHL playoffs by the Rangers. The Phillies went on to win the pennant that year, but no one could guess that would happen in May: the Wheeze Kids (Pete Rose, Tony Perez, Joe Morgan, and any other leftover from the 1975 Reds that the team could acquire) were in third place, just off one six-game losing streak, and about to start another one. The Eagles were in the midst of the Marion Campbell era. Let’s move on. May 19, 1974 and May 27, 1975 were watershed dates in Philly sports history, and the Flyers parades which followed transformed our regional sports identity. But let’s face it: I was riding a tricycle when the Flyers won their Stanley Cups. That was a long time ago, and the Broad Street Bullies exist to fans under 40 as faded newspaper clippings. Older fans may also remember that the Flyers were the only things going on in this city at that point. The Sixers were a fourth-place team both years. The Phillies were on the rise, but they had to be after three-straight last place finishes. The Eagles could be summed up in two words: Mike McCormack. The best day in Philadelphia sports history was probably January 11, 1981. The Phillies had won the World Series just a few months earlier. The Julius Erving-led Sixers had a 38-7 record and were at the tail-end of a six-game winning streak. The Flyers, though in a mild slump, were 25-11-7 and still skated onto the ice behind Bobby Clarke and Bill Barber (with Brian Propp and Tim Kerr taking shifts for the next generation). And of course, the Eagles beat the Cowboys in the NFC Championship game on that cold January day. A four-parade year seemed possible, even plausible, for a few hours on that Sunday afternoon and for a few days afterward. This does not feel nearly that good. But we are Philly fans, and we take any good feelings we can get. 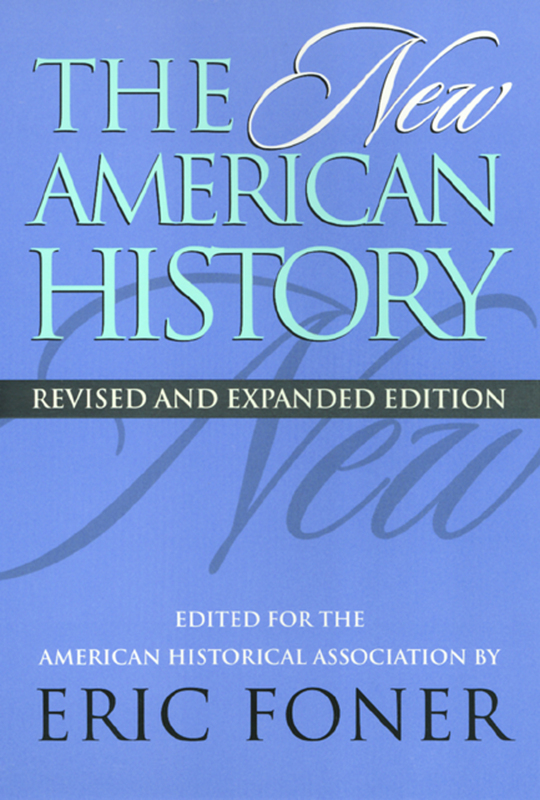 Steve Brier’s Preface to American History Now, edited by Eric Foner and Lisa McGirr, announces the closing of the Critical Perspectives on the Past series he co-edited with Susan Porter Benson and Roy Rosenzweig. It has been almost a quarter century since my late colleagues—Susan Porter Benson and Roy Rosenzweig—and I launched the Critical Perspectives on the Past series at Temple University Press, in close collaboration with Janet Francendese, our Temple editor for the entire series. Back then we were young(ish) scholars anxious to find ways to transform what we saw as a stodgy and hidebound profession far too interested in traditional historical subjects and traditional ways of recounting history. 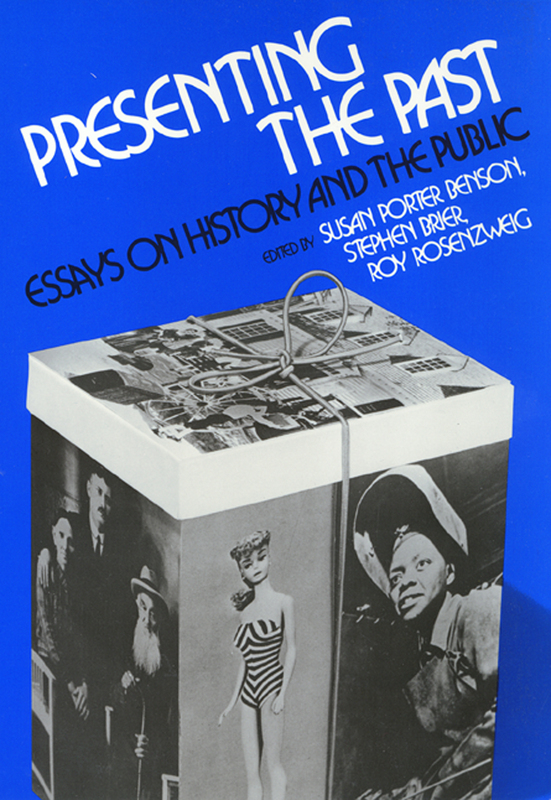 The first book in the series was our own Presenting the Past: Essays on History and the Public, which grew out of an issue of Radical History Review on public history that Roy, Sue and I (along with Bob Entenmenn and Warren Goldstein) had edited. We hoped in that collection and in the series which grew out of it to offer a fresh look at historical theory and practice. We ended up publishing thirty-nine monographs, edited collections, and public history books on diverse historical subjects and areas of the world over the next twenty-five years. In all our editorial choices, we tried to be especially attentive to issues of race, class, and gender and to the role of human agency in shaping historical events. We always sought books and collections that challenged the conventional historical wisdom of what was important for historians to write about while also focusing in on nontraditional ways in which historical ideas could be communicated to a broad public. 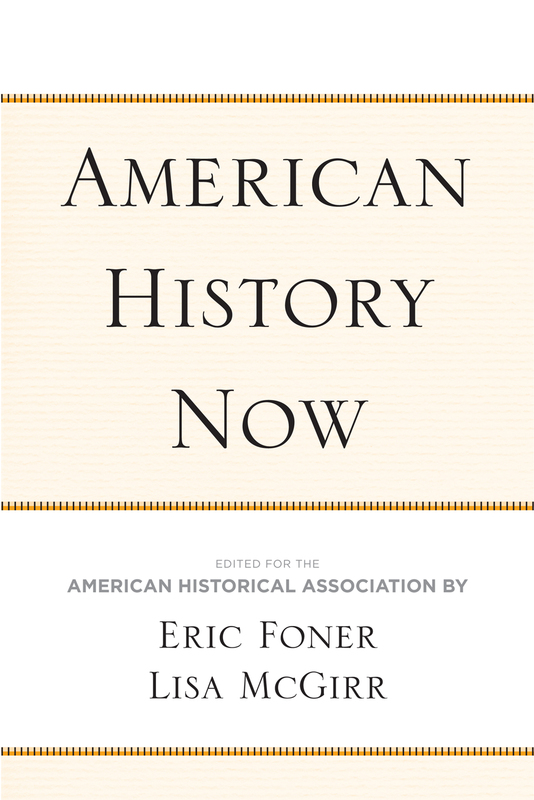 As the successor to two editions of The New American History, American History Now, edited by Eric Foner and Lisa McGirr, seems to be an appropriate place to cap the Critical Perspectives series and to bring our work on this series to a close. For this volume, Foner and McGirr have reached out to a younger generation of historians to summarize and reflect on the ongoing intellectual and conceptual transformations that have reshaped historical inquiry and academic life over the past decade. Those are the same kinds of intellectual questions and issues that originally piqued Roy’s, Sue’s and my interest in editing this series in the first place. Sue’s untimely death from cancer in 2005 and Roy’s death two years later from the same disease made me realize it was now time to pass the torch to the next generation of young scholars. This final book in the Critical Perspectives on the Past series is therefore dedicated to my old comrades, both of whom were wholly committed in their lives and careers to recapturing the histories of those left out of standard historical syntheses, to intellectual and pedagogical innovation, and to making history accessible to a broad democratic public. They are and will continue to be missed by me and hundreds of their colleagues and friends, as well as their families. 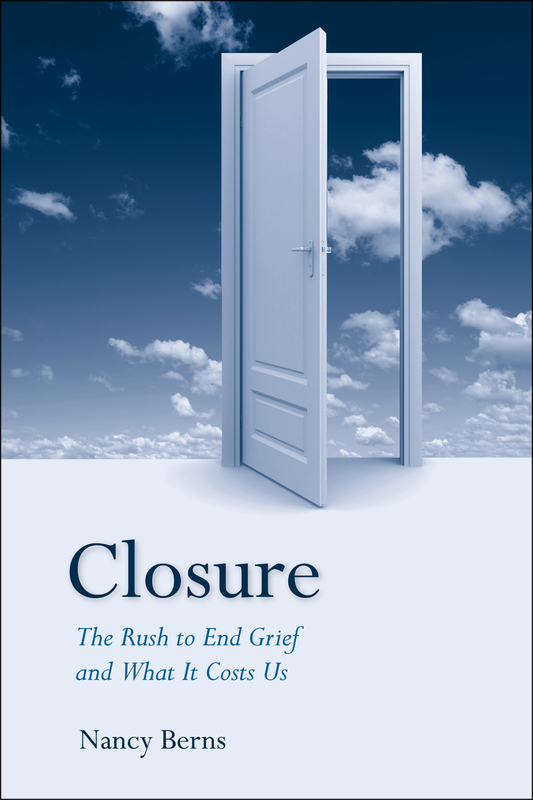 In this blog entry, Nancy Berns, author of Closure: The Rush to End Grief and What it Costs Us, unpacks the meaning of “closure” and how this concept influences our society. Twenty years ago a drunk driver killed Julie’s husband, but she tells the story as if it just happened. You can still hear the pain and love in her voice as she thoughtfully passes around a picture of her husband and shares her grief. Julie talks to groups, such as high school students and prisoners, to raise awareness about the dangers of drinking and driving. She wants to prevent someone else from experiencing the grief she intimately knows, but she also simply wants to tell her story. In Closure: The Rush to End Grief and What It Costs Us, I explain why people would be quick to say that Julie needs closure so that she can “move on” with her life and stop dwelling on her loss. But there are many, like Julie, who hate the word closure. She unequivocally tells people, “Closure does not exist.” Julie has plenty of company in criticizing this concept. Still, advice for finding closure thrives. Journalists, politicians, salespeople, and other professionals use closure as a significant theme in writing, politics, and sales. From romantic break-ups to terrorist attacks people are expected to find closure after bad things happen—“a satisfying ending” to a traumatic event. Closure has become central for explaining what we need after trauma and loss. It is a new emotional state, one that people supposedly need to find in order to heal after a loss. Yet there is no agreed upon answer for what closure means or how you are supposed to find it. Closure has been described–in contradictory ways—as justice, peace, healing, acceptance, forgetting, remembering, forgiveness, moving on, answered questions, or revenge. In spite of the popular use of the term, closure is not some naturally occurring emotion that we can simply find with the right advice. However, we continue to hear from media, family, co-workers, politicians, and salespeople that we need closure. Constructed as a need that we must fill, closure has become a great marketing tool. It is a central part of sales talks in the funeral, grief, relationship advice, and memorialization industries. Closure has also emerged as a powerful political tool for talking about social problems, including grief, victimization, the criminal justice system, capital punishment, DNA collection, terrorism, and public memorials. It is important to pay attention to closure talk because it shapes our expectations for how we are supposed to grieve. Many people now assume you need closure to grief in order to heal properly. And we are not giving people much time to “move on.” Further complicating our cultural understanding of grief, psychological definitions of “normal grieving” have sped up the expectations for how long it should take to “get over” a loss. The current proposal for the new Diagnostic and Statistical Manual of Mental Disorders (DSM5), scheduled for release in 2013, recommends changes that would further alienate us from the concept of normal grief and sadness after a loss. Individuals like Julie who continue to talk about a loss months or years later are increasingly more likely to be labeled as having “complicated grief,” which is considered a disorder. In Closure, I explain why using the concept of closure limits how we think about grief and fails to capture the experiences of many who grieve over death or other losses. Some people struggle to meet social expectations for closure when privately they resent the idea or, worse, they wonder whether something is wrong with them because they do not have closure. As for Julie, she would tell you that her life is rich, meaningful, and joyful. But she does not use the word closure to describe the healing in her life, nor does she think she has to “get over” her grief. We need to expand our understandings of how people grieve without so quickly trying to end their grief or labeling them as having a psychological disorder. My hope is that readers can use this book to understand the tangled web of closure talk and help navigate the emotional and social experiences resulting from grief and loss. 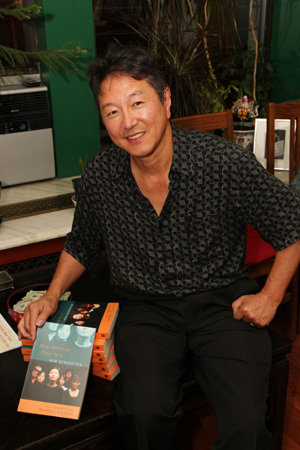 In the latest blog entry from Rick Shiomi, the editor of Asian American Plays for a New Generation chronicles his East Coast tour in support of the book. 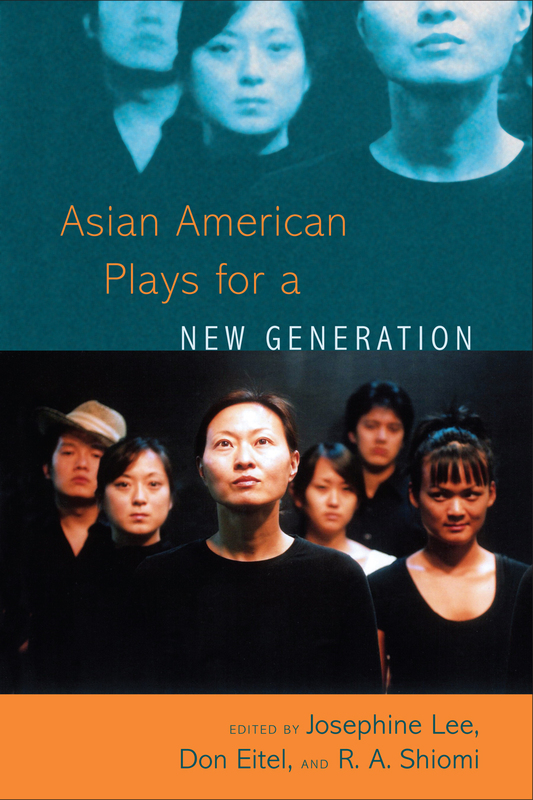 My East Coast Book Launch Tour for the new anthology Asian American Plays for a New Generation began in Philadelphia at the InterAct Theatre. I attended a reading of a new play by Lauren Yee at the PlayPenn New Play Development Conference. It was so packed it might have been 110 degrees in the dark (I can’t imagine what it felt like for the actors on stage under the lights). The play, titled A Man, His Wife and His Hat, is a very clever absurdist play about life, love, and marriage when things don’t work out very well but there’s always time to recover. As usual with Lauren Yee, there is always wacky humor and absurdities, like talking walls and golems in this piece, but there’s also a humanist point to be considered in a surprising way. After the reading I attended a reception and had animated discussions with folks about Lauren’s play. The next day, I attended a meeting with Gayle Isa of Asian Arts Initiative, Seth Rozin of InterAct Theatre, Margie Salvante of the Theater Alliance of Greater Philadelphia and several others to discuss the possibility of having the next National Asian American Conference/Festival (ConFest) hosted in Philadelphia in 2013. That evening the book launch event was held at InterAct Theatre. The event was co-hosted by InterAct and AAI. About thirty people showed up for the event, which included short talks by Josephine Lee, the senior editor of the anthology, Lauren Yee, the playwright for Ching Chong Chinaman in the anthology, and myself. We also had short scenes read by four actors, Bi Ngo, Justin Jain, Victoria Chau, and Catzie Vilayphonh. The cast was terrific and the audience really responded to the readings. The whole presentation was a big hit and I told several people that the cast for the readings would be a good mix of actors to start an Asian American theater company in Philadelphia (no more need to bring in actors from the Big Apple!). The next stop was Washington DC where I spoke on a panel at the Library of Congress for a book launch event at the Mary Pickford Theater, sponsored by the Asian Division of the Asian Pacific Islander Collection. Franklin Odo, the new chief of the Asian Division at the Library of Congress, introduced the event. It was a smaller gathering of employees and members of the public, but so many important results came from that event. Reme Grefalda, the curator of the AAPI Collection who organized the event, proposed that Mu Performing Arts and myself as an individual playwright archive our production and script materials there as part of the Asian American Pacific Islander Collection. 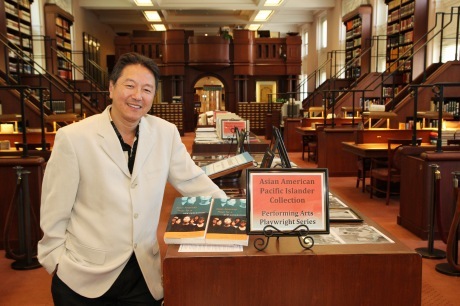 The Library of Congress’ goal is to establish a national Asian Pacific American holding with a nationwide outreach. I was honored and ecstatic to have both Mu’s and my records kept at the Library of Congress and felt that alone made the whole trip worthwhile. But the most fun part of the event was having Lia Chang read a monologue from one of the plays in the book. With only a few minutes of time to think about it, Lia beautifully performed a wild speech by an imaginary character, Queen Elizabeth II, and got instant applause. Lia was also on the panel and spoke about her work as a photographer, referring to her exhibit of 36 photos on display at the Asian Reading Room titled In Rehearsal, the Lia Chang Theater Portfolio. It’s a beautiful exhibit of photographs covering the backstage and rehearsal process for such productions as Chinglish by David Henry Hwang, Heading East by Robert Lee and Leon Ko, Disney’s The Lion King Las Vegas, and Samrat Chakrabarti and Sanjiv Jhaveri’s pop opera Bakwas Bumbug!, along with images from her other theater work. Lia also took a number of wonderful photos of us in the Asian Reading Room. In addition, she wrote an article with photos on the book launch and her exhibit at the Library of Congress. Then it was up to NYC. The event there was hosted by Tamio Spiegel and Julie Azuma at their apartment in the Chelsea area of Manhattan. The event was packed with leaders from the Asian American theater community like Tisa Chang of Pan Asian Repertory Theatre, Jorge Ortoll of Ma-Yi Theater, Carla Ching of Second Generation, old friends from Soh Daiko and my previous life in New York thirty years ago, prominent writers Henry Chang and Ed Lin, fellow theater artists including Raul Aranas, Lia Chang, and Henry Yuk, and many more people involved in the arts. I even met Cathie Hartnett of My Talk Radio in St Paul and Carol Connolly, the poet Laureate of St. Paul, both of whom were visiting New York. It was a special kind of evening and I signed a lot of books! This time I spoke along with Aurorae Khoo whose play Happy Valley is in the anthology. We were fortunate to have scenes read again, this time by actors Cindy Cheung, Fay Ann Lee, Amy Chang, and Sean Tarjoto. They did a lovely reading and the response was great again. With all the food and drink supplied by Tamio and Julie, I owed a lot to their support and hospitality. Lia Chang wrote an article about this event and took photos as well. The next day I caught the airporter to LaGuardia and headed home, full of the excitement of so much support for the new anthology, energized by contacts new and renewed, and exhausted by the energy it takes to do a book tour.